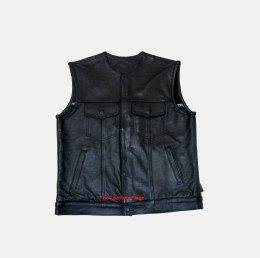 Motorcycle enthusiasts enjoy switching things up, be it endless modifications to a sweet chopper or wearing different gear every weekend, bikers live for change. 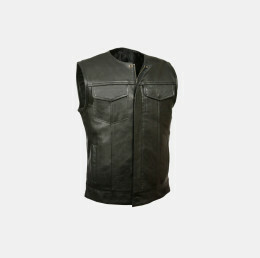 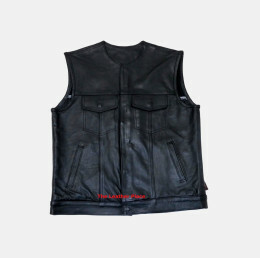 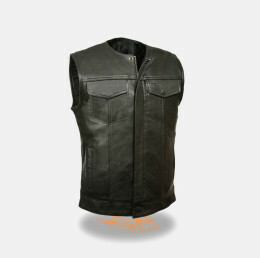 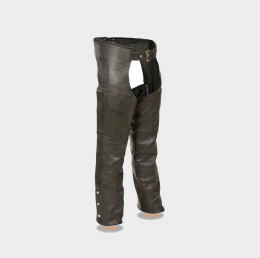 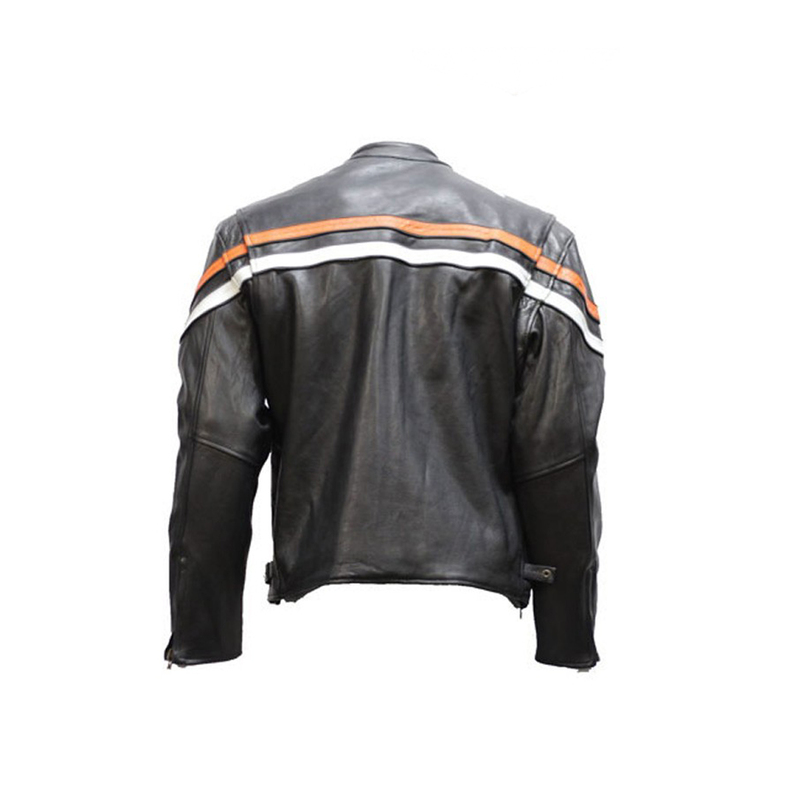 Ourreversible leather and textile jacket is for the rider who wants to look good and make a quick and easy change in jacket. 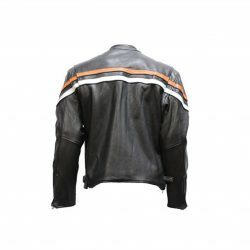 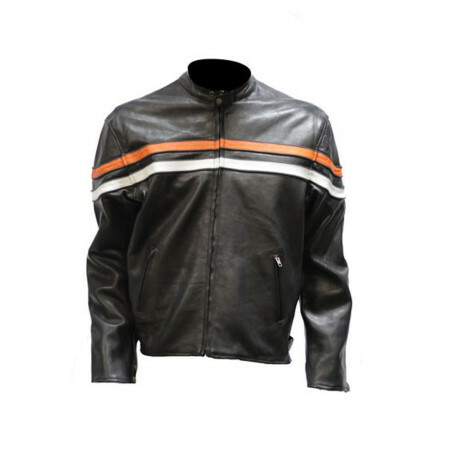 This amazing reversible jacket features genuine black leather on one side with thin orange and white racing stripes on the chest, back, and shoulders bordered by a reflective trim and two thin white stripes that run down the sleeves on the black textile side. Your comfort’s assured whichever side you choose with the racing style collar with the button-snap and the padded white accent around the neck, side zippers with button-snaps for an even greater fit, zippered cuffs, and the zippered front closure. 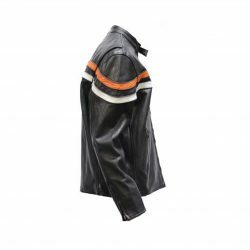 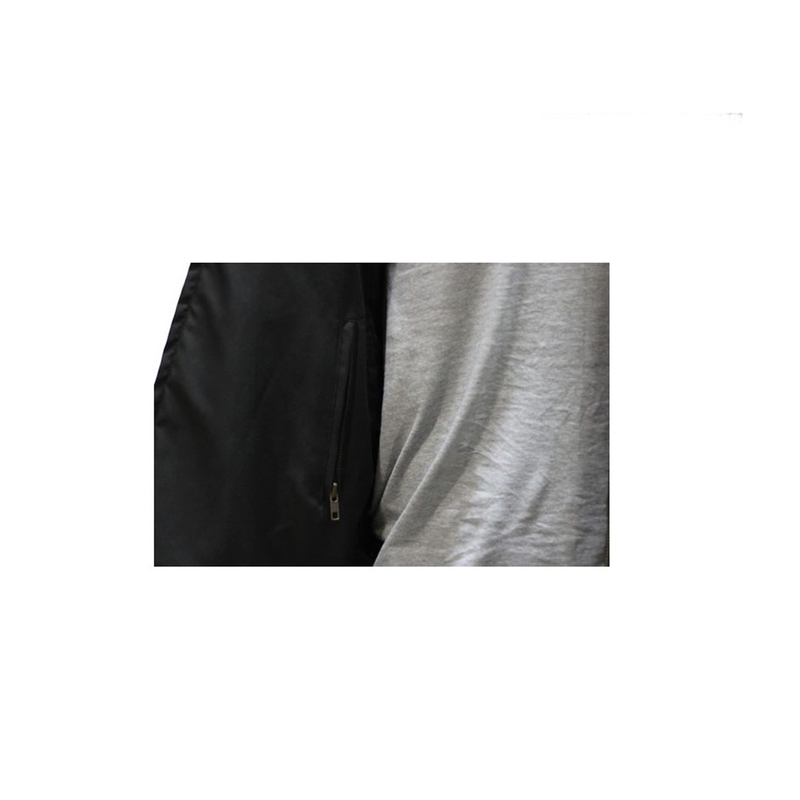 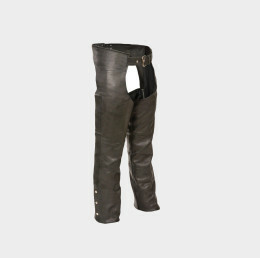 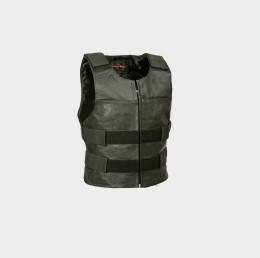 Both sides come with two roomy zippered waist pockets for wallet and keys making this an awesome jacket to wear whenever you want to change your look in style.